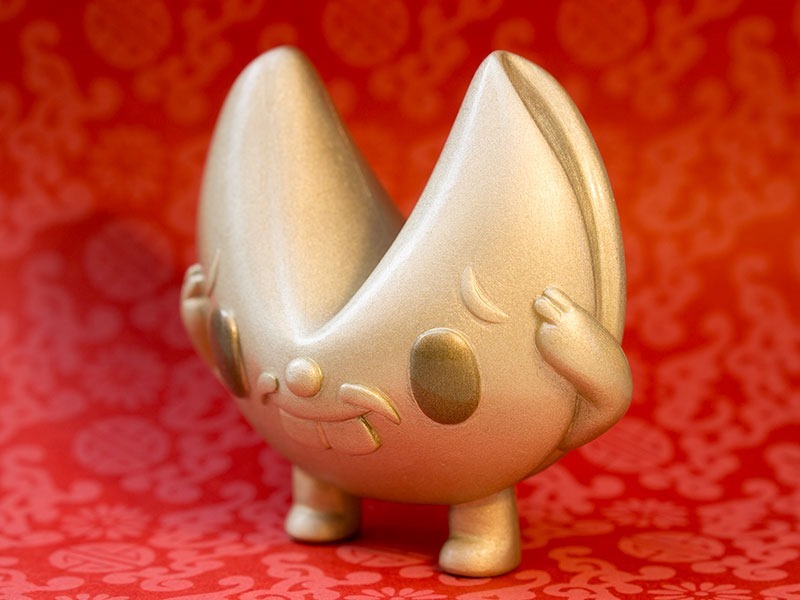 It’s been quite awhile since we’ve seen a new release from Paul Shih who’s been enjoying his role as a first-time parent. 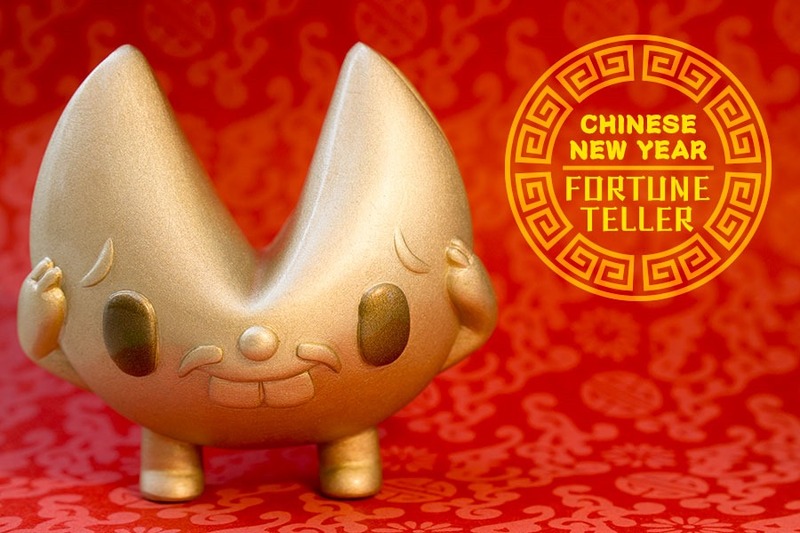 So we’re happy to announce that he’s back with the new Fortune Teller Chinese New Year edition resin figure. 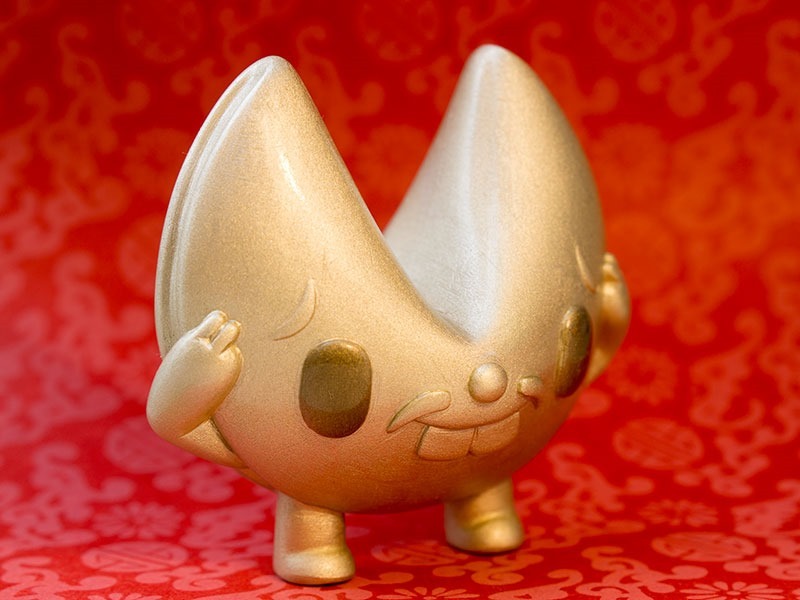 This new edition of his fortune cookie character has a sparkly gold finish just in time for the auspicious and most important Chinese holiday. Limited to 5 pieces, the Fortune Teller CNY figures will be available on Wednesday (1.25) @ 2 PM PST for $45 from Paul’s web shop.